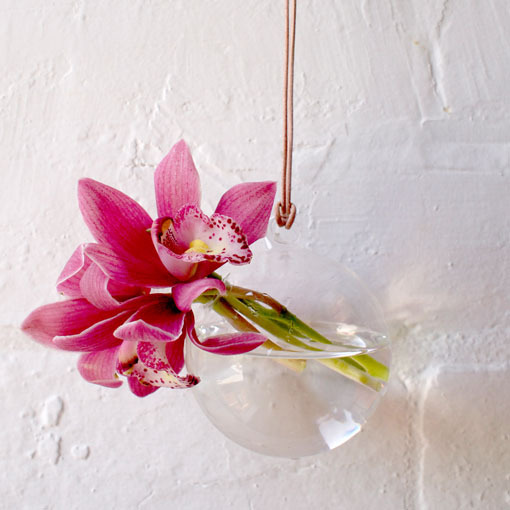 Elegant hanging glass vase. Co-ordinate all three shapes (teardrop, doughnut, bubble) together for a beautiful, bright display! Comes with leather string.